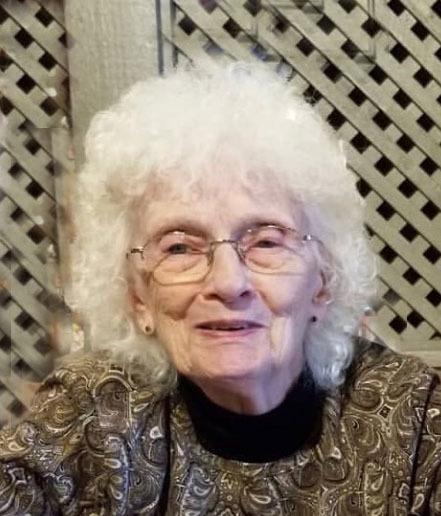 passed away on Wednesday, March 27, 2019 at Bethlen Home, Ligonier, PA​. She was born March 6, 1933 Hannastown, PA​, the daughter of the late Paul Hulena​ and Elizabeth (Durco) Hulena​. Elizabeth was a member of SS Simon & Jude Church, Blairsville, where she was a member of the Angels of Compassion. She had formerly worked at Clark Metal and the G.C. Murphy Company. She was a member of the Croatian Fraternal Union. She enjoyed getting together for lunch with "Club 51", which was her old classmates from Derry Twp. She also loved sewing, working with ceramics, crocheting and tending to her outside flower gardens. ​She is survived by her son, Kenneth R. Ewing & wife, Janice, Torrance, PA​; daughter, Sandra E. Robertson, Torrance, PA​; grandchildren: Amy Lehosky & husband, Steve, Torrance, PA​, Kenneth D. Ewing & wife, Chrissy, Torrance, PA​ and Casey Betler & husband, Rich, Pittsburgh, PA​; great grandchildren: Aislynn, Adia, Ashton, Zander, Hermione, Erzsebet, Ewin, Bela, Kasia & Hulena​; sister, Anne Jogun, Bristol, TN​ and also several Nieces & Nephews​. She was preceded in death by her husband, Kenneth N. Ewing in 1999​; brothers: Paul, Joseph, John & Michael Hulena​ and sisters: Mary Koshurba​ and Helen Curnow​. The family will receive friends at the James F. Ferguson Funeral Home, Inc., 25 W. Market St., Blairsville, PA on Friday, March 29, 2019 from 2:00 PM to 4:00 PM and 6:00 PM to 8:00 PM​. A blessing service will be held at the James F. Ferguson Funeral Home, Inc. on Saturday, March 30, 2019 at 11:00 AM. Fr. Stephen R. Bugay will officiate.​ Interment will be held in SS Simon & Jude Cemetery, Blairsville, PA. If so desired, memorial donations may be made to the American Heart Association, PO Box 15120, Chicago, IL 60693​.